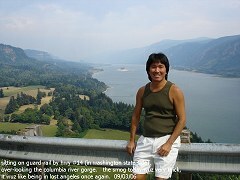 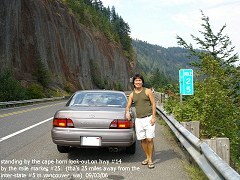 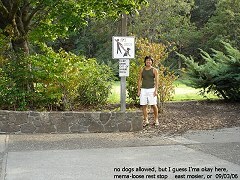 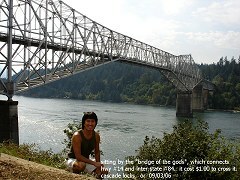 sitting on guard-rail by hwy #14 (in washington state side, over-looking the columbia river gorge. 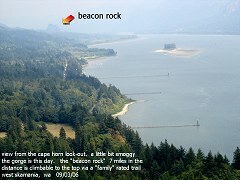 notice: it is rather smoggy today 09/03/06 view from the cape horn look-out. 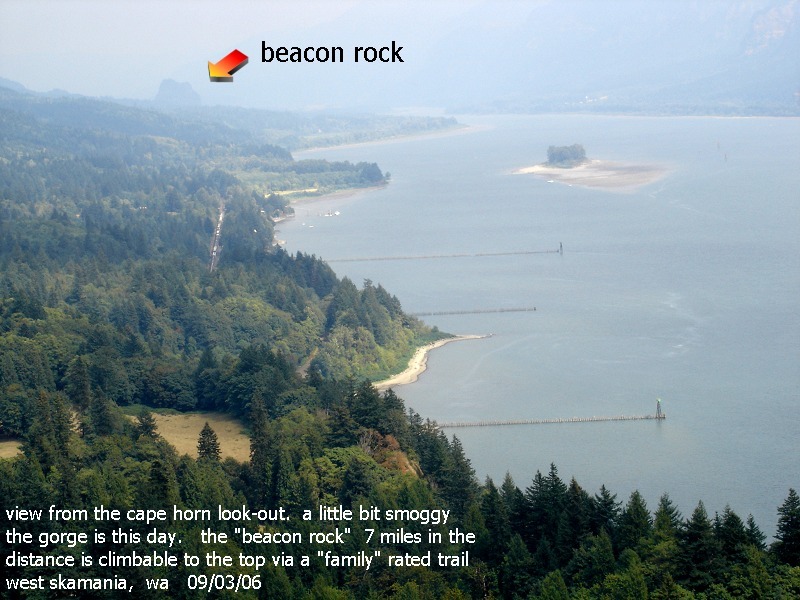 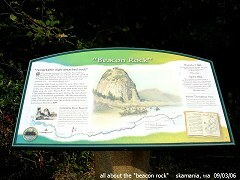 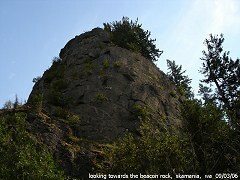 the beacon rock which is 7 miles out, has a hikeable trail which is "family" rated. 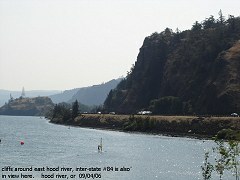 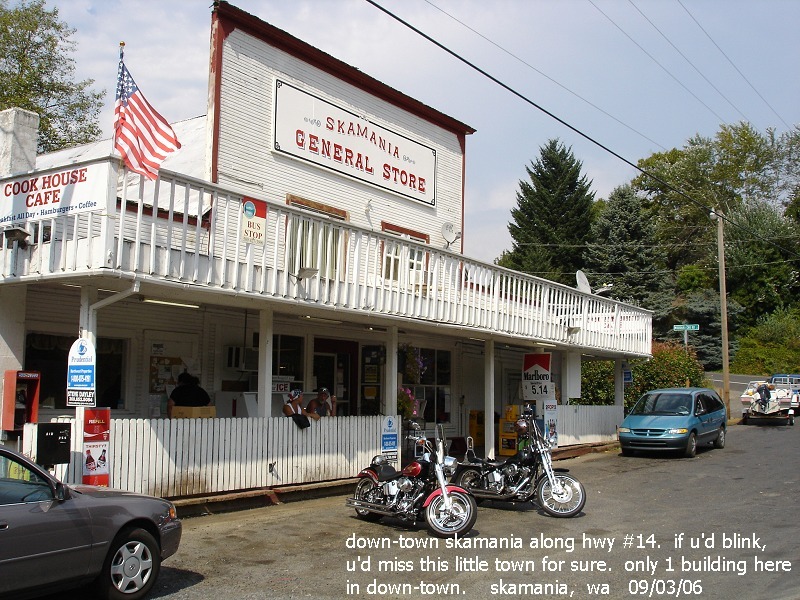 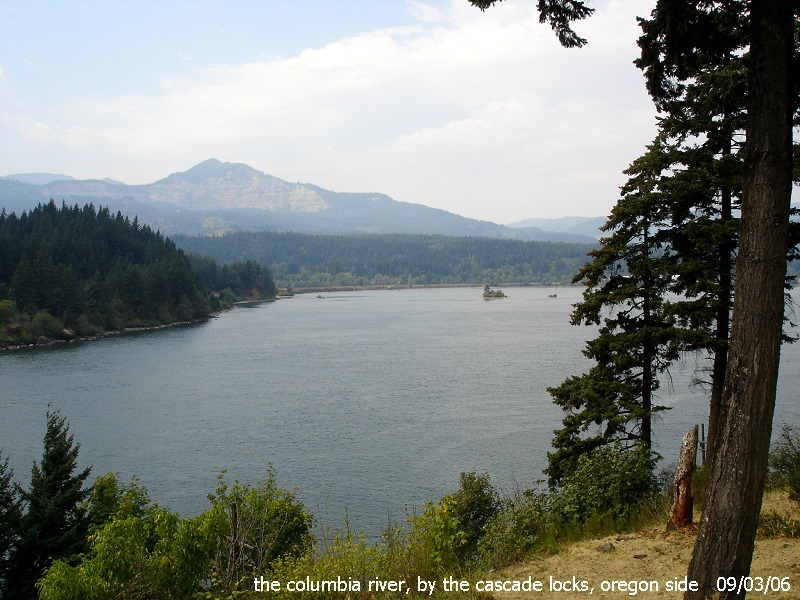 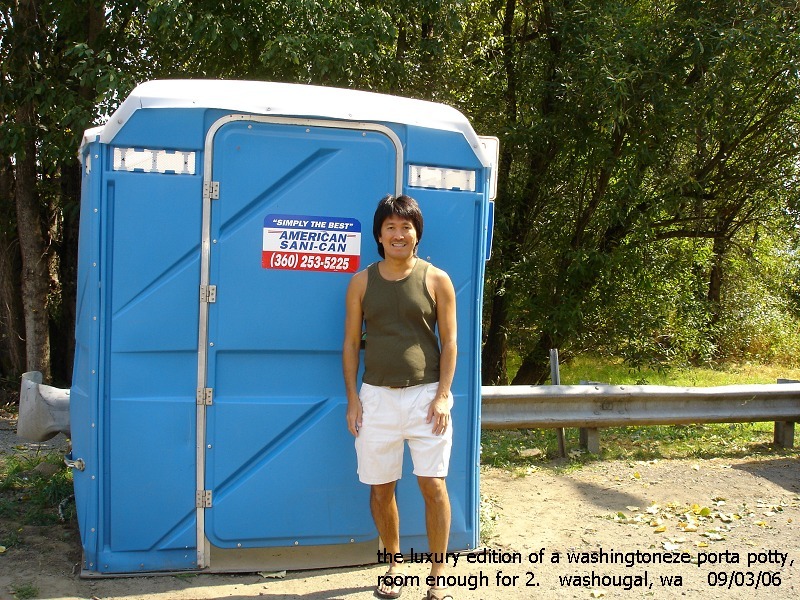 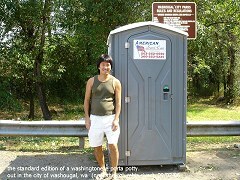 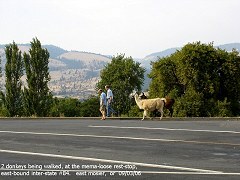 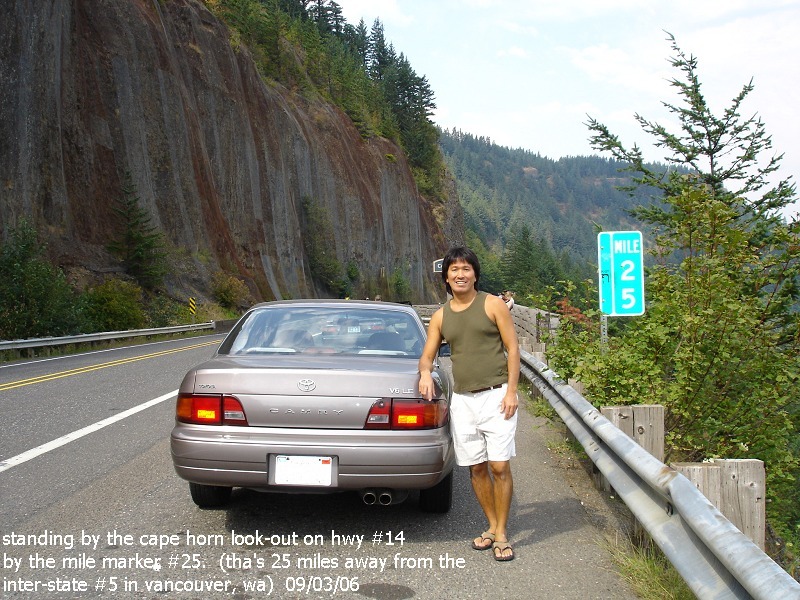 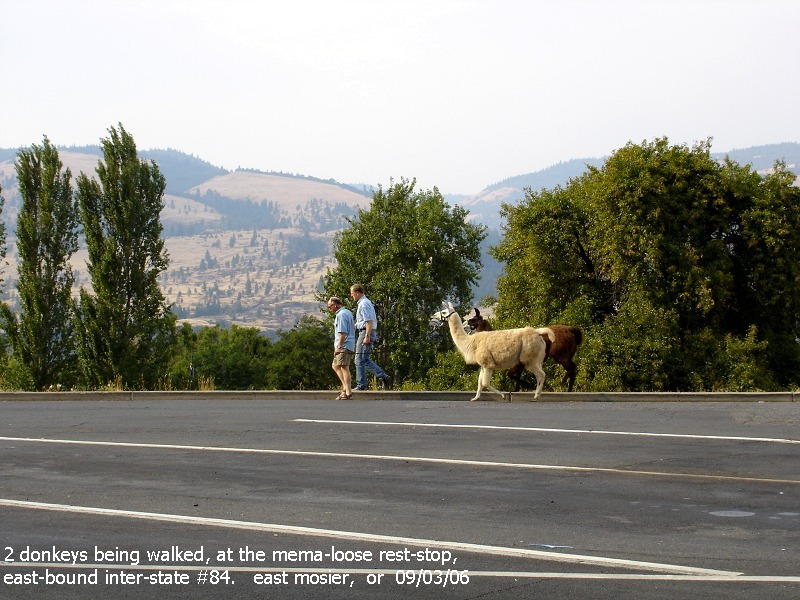 standing on side of hwy #14, heading east to the columbia river gorge on the washington side. 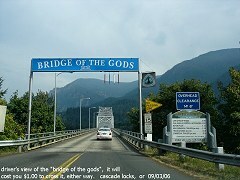 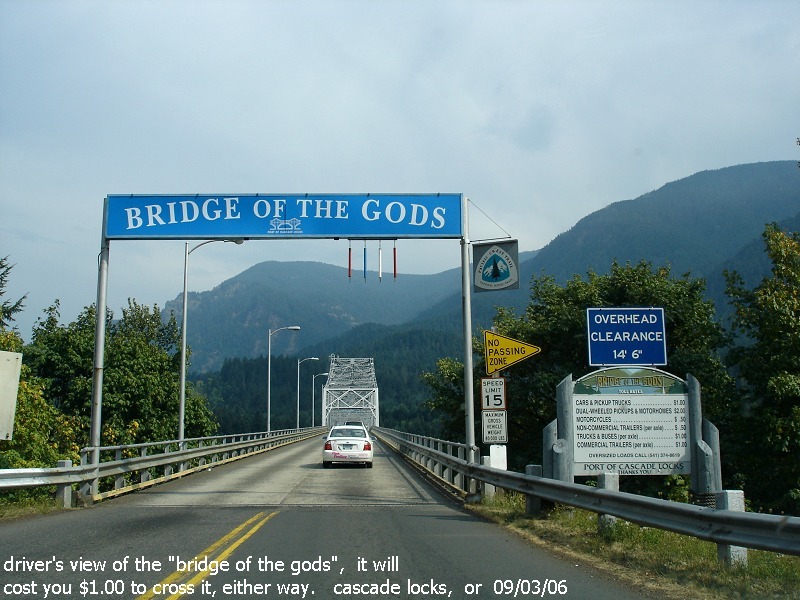 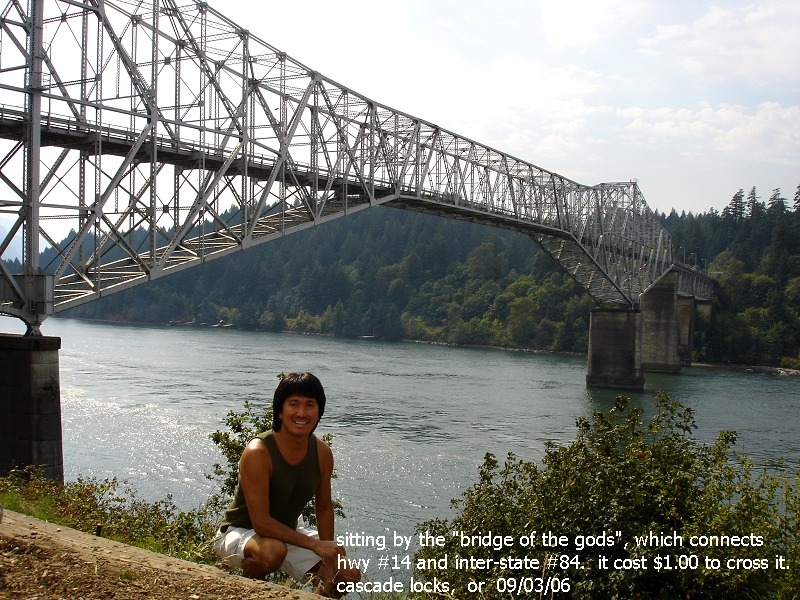 driver's view of the "bridge of the gods" it'll cost you $1.00 to cross it, either way cascade locks, or 09/03/06 sitting by the "bridge of the gods", which connects hwy #14 in washington and inter-state #84 on the oregon side of the river the columbia river, by the city of cascade locks, or 09/03/06.